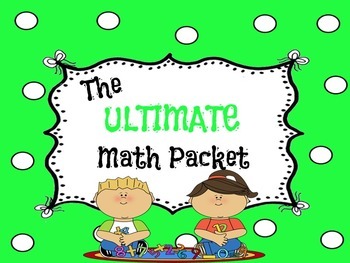 Don't you wish you had all the math tools to teach the Common Core State Standards in one place? Well, in this packet, you do! Everything included but the hundreds chart! I compiled all of the resources and math tools that were most effective in my classroom and put them all in a bundle! Great tools to use for the CCSS! All math tools will work for the K-2 grade band. GREAT resource! 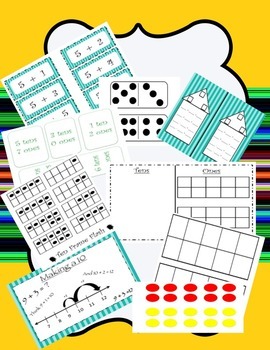 - 10 pages of dominoes that can be printed and laminated to use for addition and subtraction and how they are related. 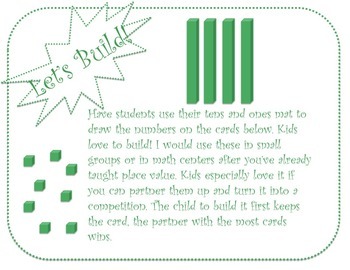 - Place value, BUILD IT. Students draw cards and build that number on the tens and ones mat. 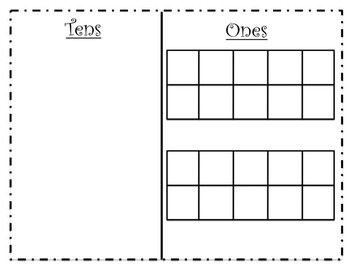 - Double Ten frame and a printable page of counters that can be copied and laminated several times. -Hang these in your math center or keep in your small group guided math. It's amazing how many times students will refer back to these! - Laminate these cards and use for small group subtilizing, greater than, less than, or equal to, addition or subtraction. -Also included, a page detailing how to use ten frame flash by playing WAR or other games.